Destination App by INTERMAPS for Russia. We welcome you to benefit from our company’s expertise in eTourism. in the tourism and cable car industry trust the INTERMAPS® product range. with up-to-date and dynamic content. your lifts and slopes in 2D and 3D. in person, we keep users engaged and informed. of their time in the mountains, city and outdoors all year round. INTERMAPS® is a media company serving the tourism and travel industries specialized in the development of in-browser media and native apps. 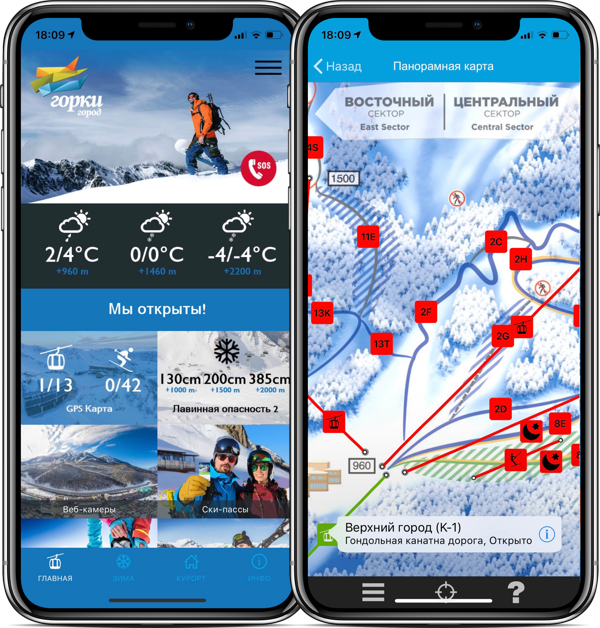 Our main focus and passion is skiing, embodied by the iSKI® brand, our digital mapping and data management solutions for ski resorts and custom tailored iDestination apps. Copyright © 2019 INTERMAPS AG & GmbH. All Rights Reserved.